Retaining a low-bulk feel with increased sensitivity for cross country racers and discerning trail riders, the PRO Slide On Race Grip features shock-absorbing silicone in an offset geometry that places padding only where it's essential. Silicone excels in dissipating shock and unruly vibration transmitted through the bars when you're riding through chunky rock gardens and root-latticed singletrack. It's also an extremely grippy material, promoting sure-handed dexterity for conquering demanding stretches of trail. 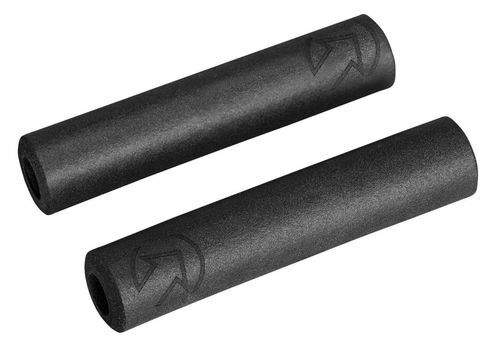 Plus, it's light enough for weight-conscious racers seeking grips that won't weigh down their cross country bikes.